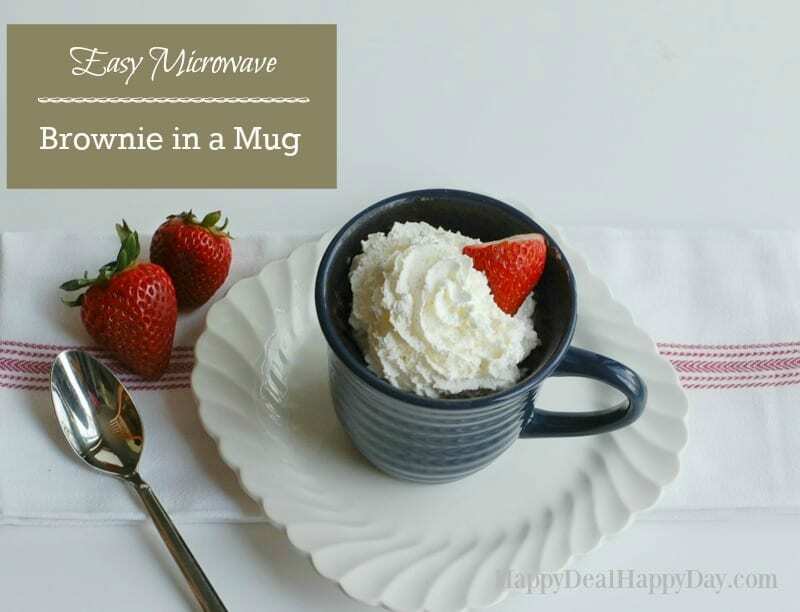 90 Second Easy Microwave Brownie in a Mug | Happy Deal - Happy Day! 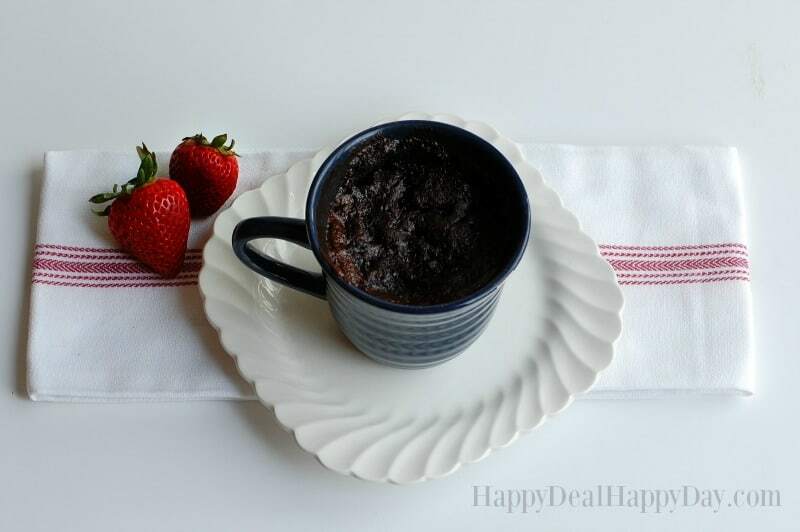 90 Second Easy Microwave Brownie in a Mug – a fabulous and EASY recipe you are all sure to love! My mom and I are opposites when it comes to cooking vs. crafting. I’d spend an entire day in Michaels and come home to craft all night long and love it. My mom on the other hand can’t sew to save her life and used to glue my Girl Scout patches on my sash. My mother though, is a gourmet cook, and she would love to spend her days in the kitchen when I was growing up. 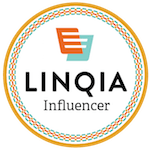 I on the other hand – I like my recipes to be fast and easy and would dread being in the kitchen all day. It’s so hard to me to justify the time cooking/baking when it will be consumed in minutes. So whenever my mom finds an easy and quick recipe that I can handle, she passes it along to me. Then, if it is easy enough, and tastes good, I’ll share it with you. 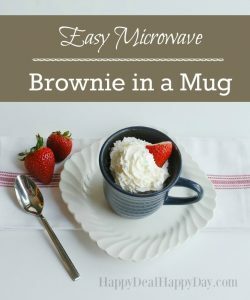 Here is the latest she found for me to try: 90 Second Easy Microwave Brownie in a Mug! 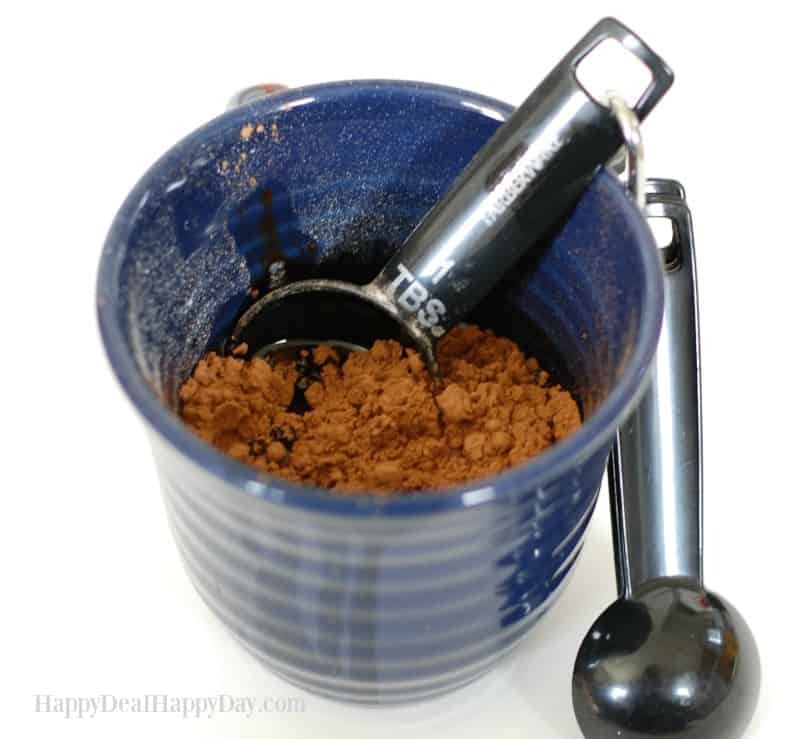 Stir together all of the dry ingredients – flour, sugar, cocoa, salt, and baking soda. Add the wet ingredients – milk, vegetable oil and vanilla. Stir well until smooth. Fold in the chocolate chips. Place in the microwave and cook on high for 90 seconds. 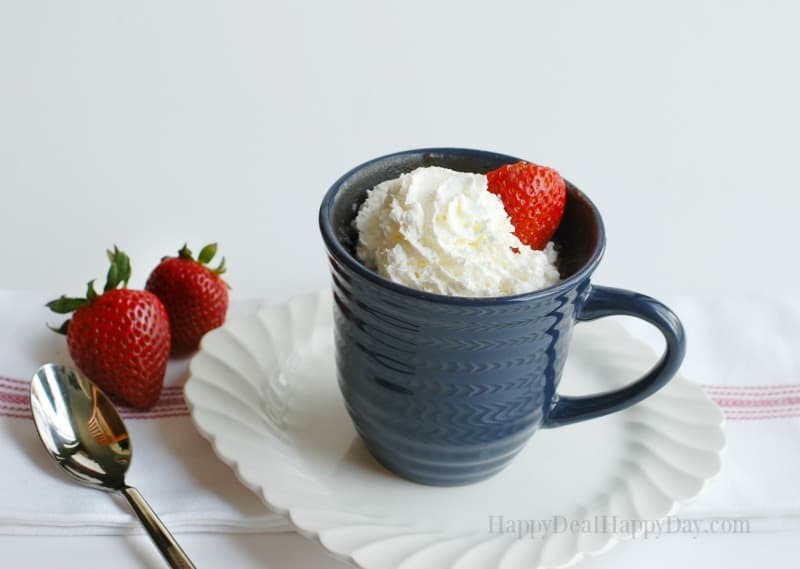 Top it off with some whip cream and berries! This is large for one serving. 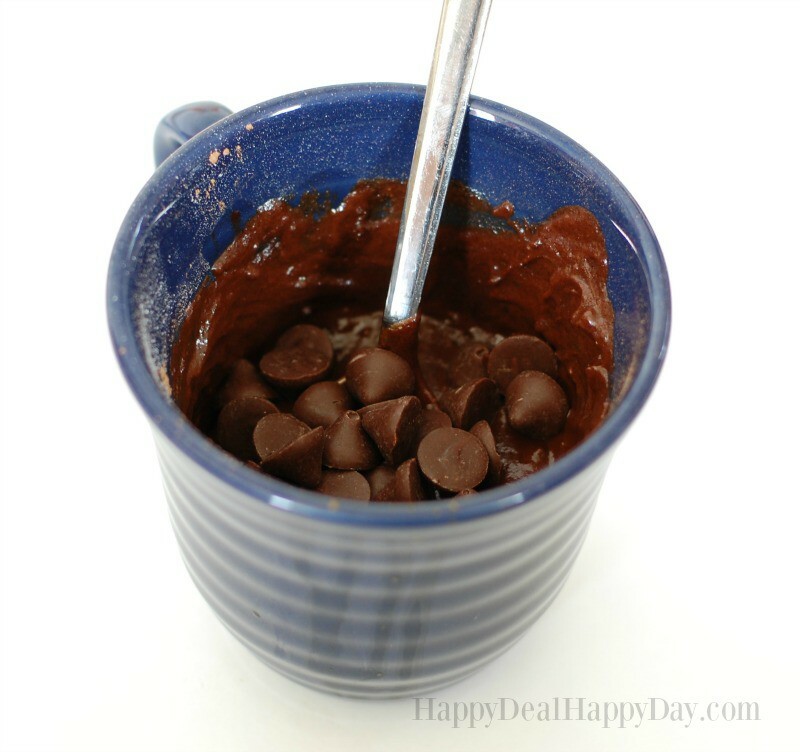 It makes it a romantic dessert to share with your significant other. 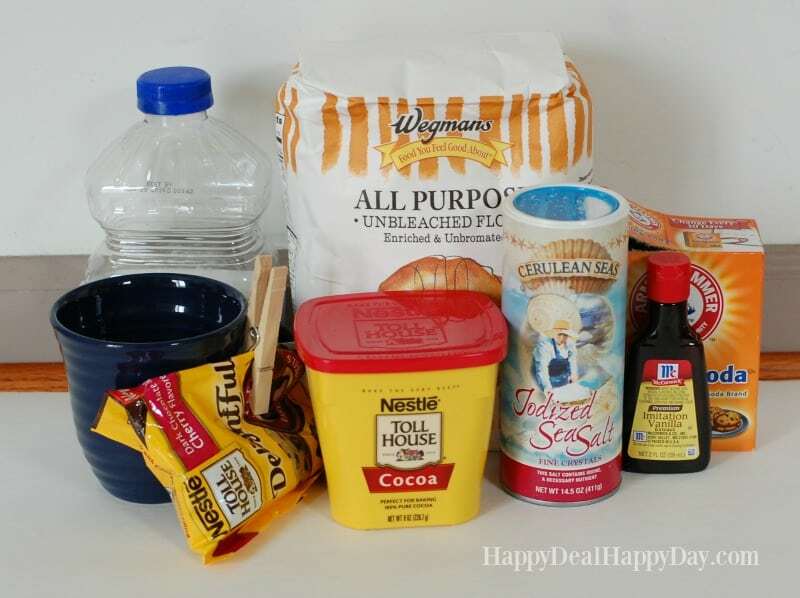 Stir together all of the dry ingredients - flour, sugar, cocoa, salt, and baking soda. Add the wet ingredients - milk, vegetable oil and vanilla. Stir well until smooth. Fold in the chocolate chips. ← $0.19 Gallon of Gerber Water at Wegmans – Printable Coupon RESET! 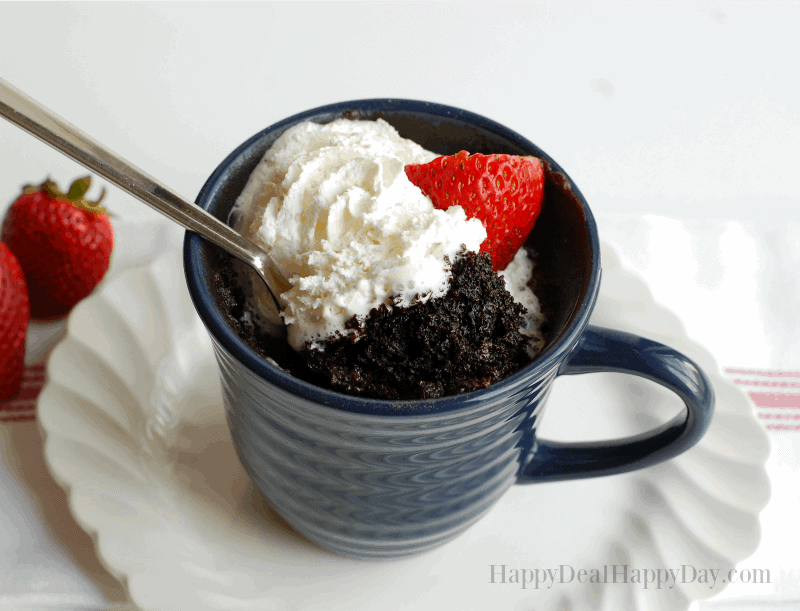 Love mug cake. It looks delicious.